For those who wants the versatility of a DSLR but a compact and lightweight body, the Canon EOS M3 could be the camera you are looking for. 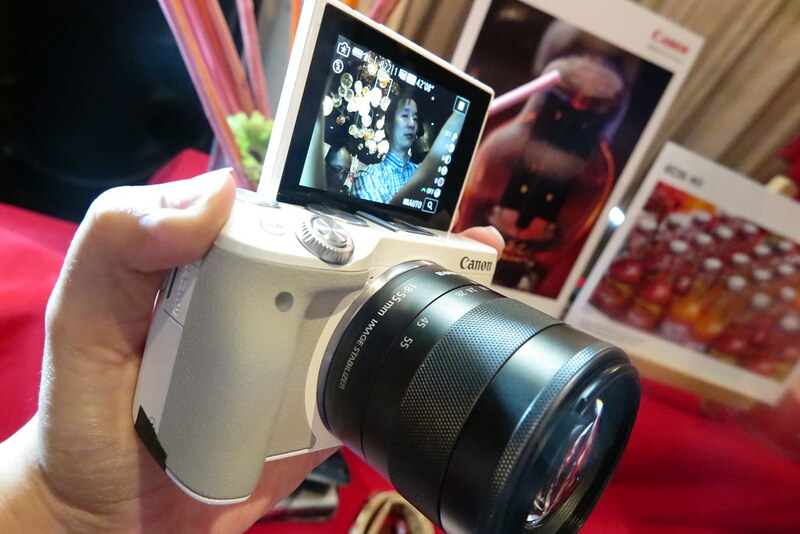 The Claudia Post had first look and feel of the Canon EOS M3, my first impression? WOW! Better grip, faster focusing and great design! Here are some photos of this new addition to the EOS family. The Canon EOS M range of cameras combines the performance and versatility of a DSLR with the portability of a compact camera. Powered by Canon’s Hybrid CMOS AF III technology, the EOS M3 features fast AF speed and a 24.2-megapixel CMOS sensor working in tandem with the latest DIGIC 6 image processor to ensure superb image quality. Complementing the white option of EOS M3, Canon reintroduces the most compact lens in the EF-M range, the pancake EF-M22mm f/2 STM Silver, now also available in silver. EOS M3 comes equipped with the newly developed Hybrid CMOS AF III technology. With optimisation of AF elements on the CMOS sensor auto focusing during live view shooting is approximately 6.1x faster than that in the EOS M (equipped with the first generation of Hybrid CMOS AF technology), making it the highest AF speed in the EOS M class. Under certain conditions, focus is attained solely from the rapid focal plane phase difference method, resulting in faster and precise AF and a better user experience. The increase in AF speed is crucial for users to swiftly snap images in clear focus without missing out on key moments. This would come in handy for users looking to capture moving subjects; pet owners and parents with active children would appreciate the improved AF speed. The newly designed 24.2-megapixel CMOS sensor is paired with DIGIC 6 image processor, Canon’s most powerful image processor to date, setting a new benchmark in Canon’s mirrorless camera image quality. Without the aid of a flash or tripod, low-light photography comes through with rich natural colours on the EOS M3 due to its high ISO speed performance. The ISO speed ranges from 100-12800 and is expandable to 25600 where higher light sensitivity is required. Despite the high ISO speed performance, the DIGIC 6 image processor is excellent in controlling image noise at higher ISO settings. 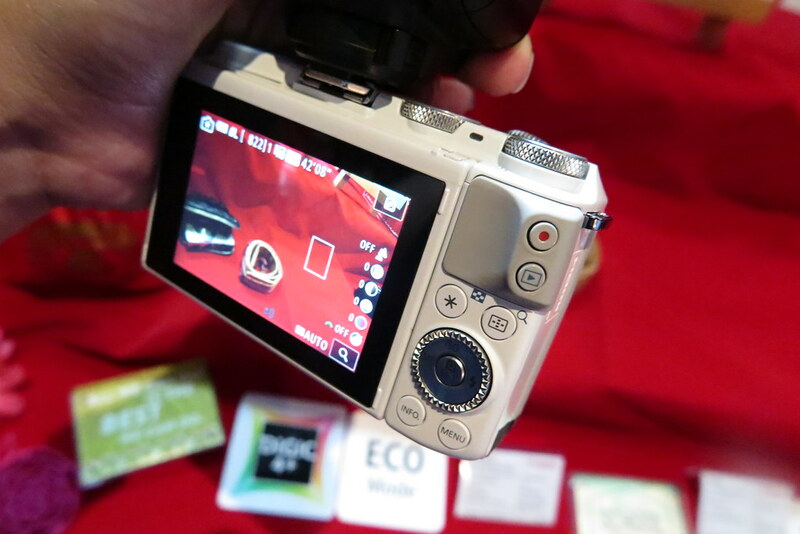 A first in Canon’s mirrorless range is the incorporation of a tilting touchscreen LCD. The screen flips 180 degrees upwards to assist with low angle shots or selfies, and 45 degrees downwards for high angle photography. The intuitive touch panel incorporates a sophisticated user interface (UI) that blends the best features from both EOS and compact cameras. Users familiar with DSLRs will be adept with the EOS M3 as the UI displays all necessary information required by professional photographers. 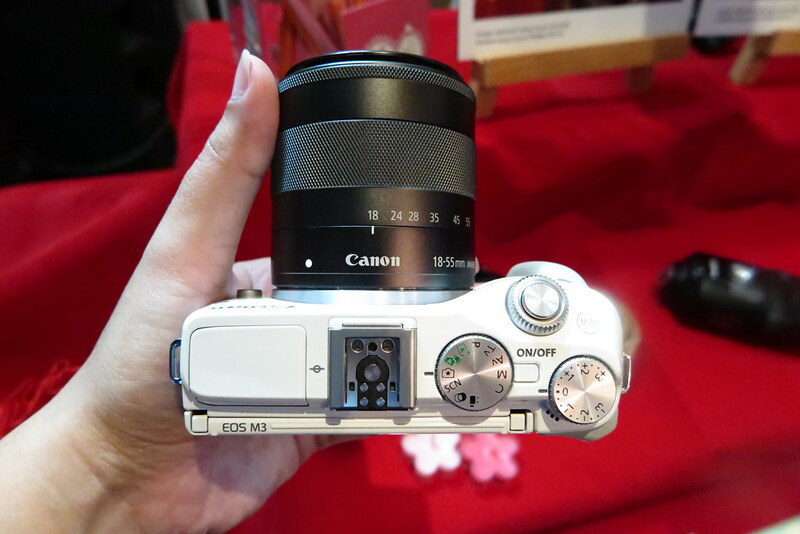 The unique two-handed touch style of the EOS M has been further enhanced and gives quick access to various settings. The EOS M3 also caters to users who may prefer to operate with a viewfinder instead of the Live View LCD. The EOS M3 is the first of its class to accommodate an EVF with the optional EVF-DC1 electronic viewfinder. Packed into a mirrorless camera size, the EOS M3 body inherits the EOS philosophy for a sophisticated design that makes shooting an enjoyable process. The ergonomic grip on the EOS M3 allows the photographer to concentrate on shooting while maintaining a firm one-handed operation. 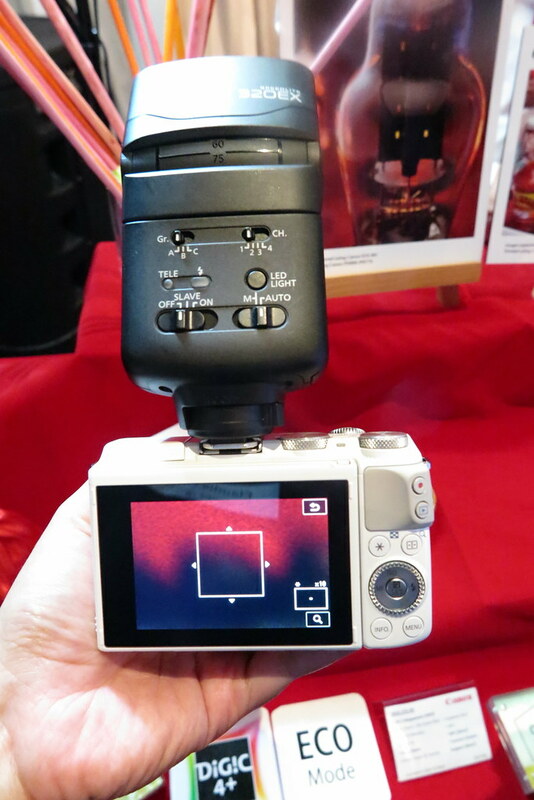 The shutter button placed on a smooth curved surface enables the index finger to rest comfortably when shooting. An exposure compensation and mode dial placed around the shutter button ensures a comfortable and holistic EOS shooting experience. The EOS M3 is the first in the EOS M series range to include a built-in flash. With a hot-shoe, the camera also allows for advanced Speedlite flashes or Speedlite transmitter to wirelessly connect to a separately mounted flash, expanding the range of photographic expressions. For shooting at close range, the macro ring light evenly projects light around close up subjects. In Creative Assist mode, aperture, exposure compensation, contrast, colour saturation, and white balance can be adjusted via sliders with user-friendly terms such as Blur – Sharpen, Darker – Brighter, etc. These sliders will help users understand the various shooting modes better and ultimately improve photo-taking skills. Users are able to change parameters in real time to achieve the desired look for the image before committing to the shot. Preferred settings can be easily imported from photos that were shot with Creative Assist. Should a user like a particular photo, the Creative Assist settings used can be instantly replicated for shooting new photos. With advanced Wi-Fi capability, the EOS M3 connects to smart phones for image transfer or printers for wireless printing. Images and movies on the EOS M3 can be wirelessly uploaded to social media sites via Canon iMAGE GATEWAY (CiG) or cloud storage and PCs via Image Sync. For maximum convenience, Near Field Communications (NFC) technology can be activated. A tap of the camera to the NFC-enabled smart phone will launch an app for transfer of files, via Wi-Fi connection. Pricing and availability of the EOS M and EF-M22mm f/2 STM Silver will be announced at a later date.